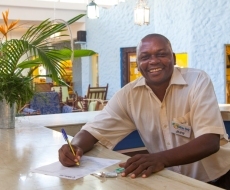 Turtle Bay Beach Club - Watamu Marine Association. 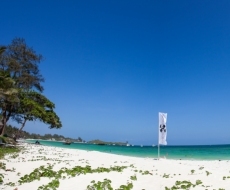 Crystal clear waters rich in corals and other marine life, white sandy shores, unspoilt coast and forest provide the ideal playground for watersports, exceptional bird watching and absorbing sightseeing. 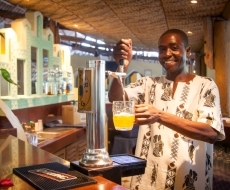 Discover the secrets of the mysterious Gede Ruins, for example, or explore Malindi or Mombasa with their fascinating history and exciting nightlife. There's also plenty to do at Turtle Bay Beach Club itself with tennis, cycling, daily activities and evening entertainment. A holiday at Turtle Bay offers more than sun, sea and sand. The area's rich natural diversity together with a rich cultural heritage provide a wealth of fascinating excursions that will appeal to adults and children alike. Choose the gorgeous beach, tropical gardens or an exotic Arabic dhow as the beautiful romantic setting for your perfect wedding day. Relax and enjoy your holiday while all the arrangements are taken care of by our helpful and experienced staff. 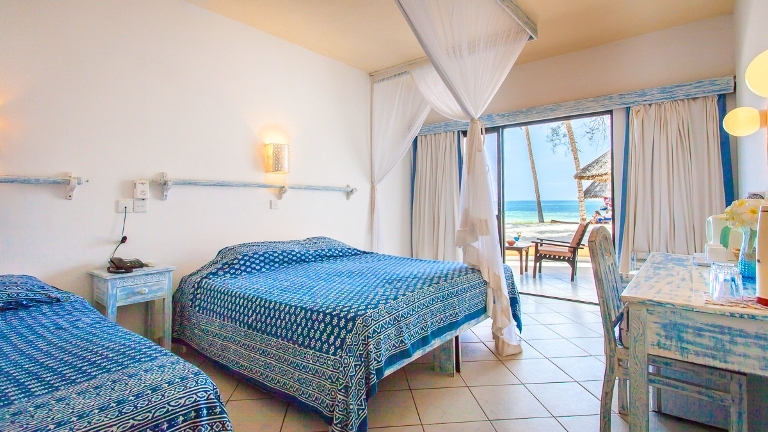 Guests will enjoy a cool, comfortable and restful stay at Turtle Bay Beach Club. All the 145 hotel's rooms are fully air-conditioned, have en-suite bathrooms and are equipped with mosquito nets and coffee and tea facilities. 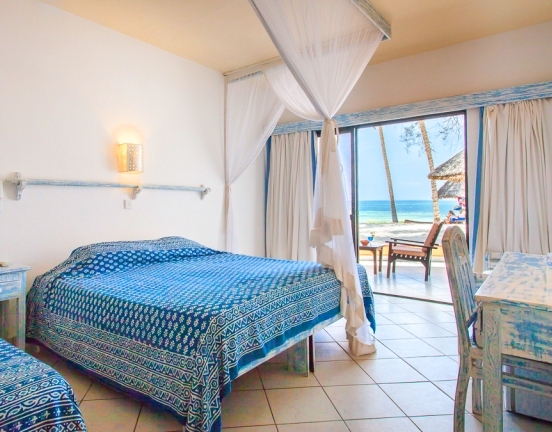 Choose from a variety of delightful rooms including Superclub rooms with balcony, Lamu swahili-style rooms, Ocean Front rooms with direct beach access and spacious Suites on request. A holiday for all the family. The warm, crystal clear turquoise waters of the Indian Ocean simply invite you to play! Enjoy a variety of activities from swimming and snorkeling amongst the exotic fish in the Marine Park, coral reef and sheltered lagoons; boogie boards and paddle skis, to windsurfing, canoeing, sailing and scuba diving from Turtle Bay's own windsurfing and dive centres. 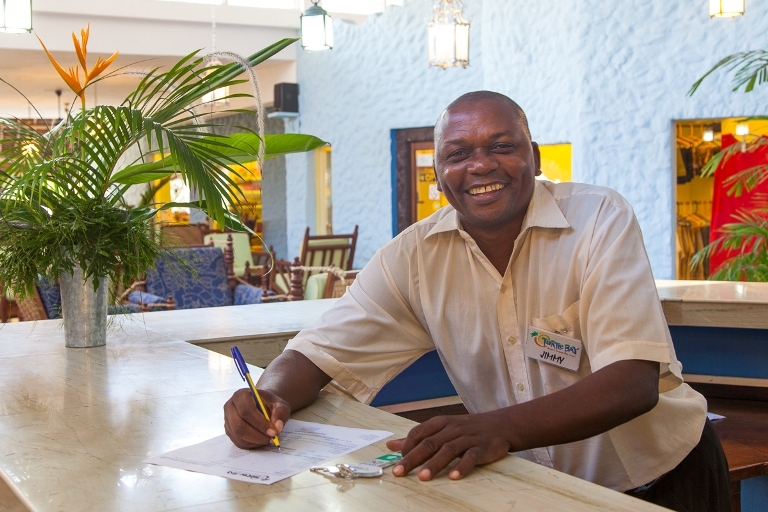 At Turtle Bay Beach Club we care for the local community and environment for many years. In March 2004, this became an official policy of the hotel. Since then, the departmental managers in the hotel have been meeting regularly to ensure that our use of resources (energy and water), the disposal of our waste and purchasing are all for the benefit of the community and environment. 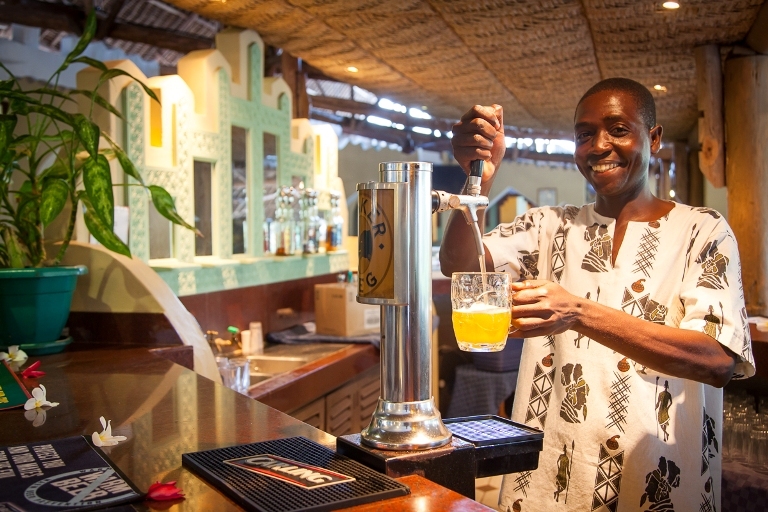 Turtle Bay Beach Club is the first hotel to be awarded Silver Eco-rating by EcoTourism Kenya in recognition of their efforts to further sustainable tourism through the preservation of Kenya's environment and cultural heritage. Your holiday can make a real difference to your favourite destinations. It can help to protect the natural environment, traditions and culture the things that make your visit special.